couples and friends. Now, completely renovated Hotel Coral has 9 double rooms and 4 luxury suites. 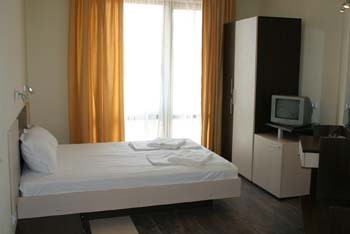 Every room has a bathroom , air conditioning, cable TV and mini refrigerator. 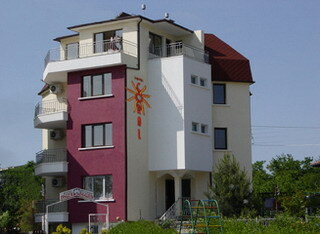 All rooms have large balconies with nice panorama. Fresh breakfast, included in the price of the room, is surfed daily. 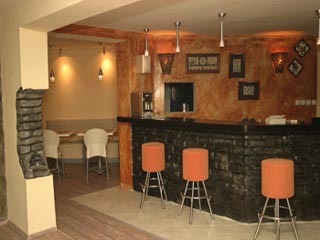 The hotel has a refreshment bar in the lobby, where our friendly staff is at your service 24-hours. The cozy bistro in the garden daily serves fresh home made sandwiches, delicious pancakes, pastries and exotic cocktails. 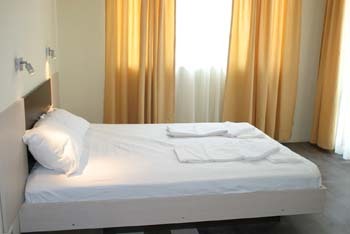 Extras: offers money exchange, deposit box, laundry, ironing, tourist information and site-seeing tours. Our staff is ready to satisfy all your wishes and provide you with everything what will make your stay more comfortable.